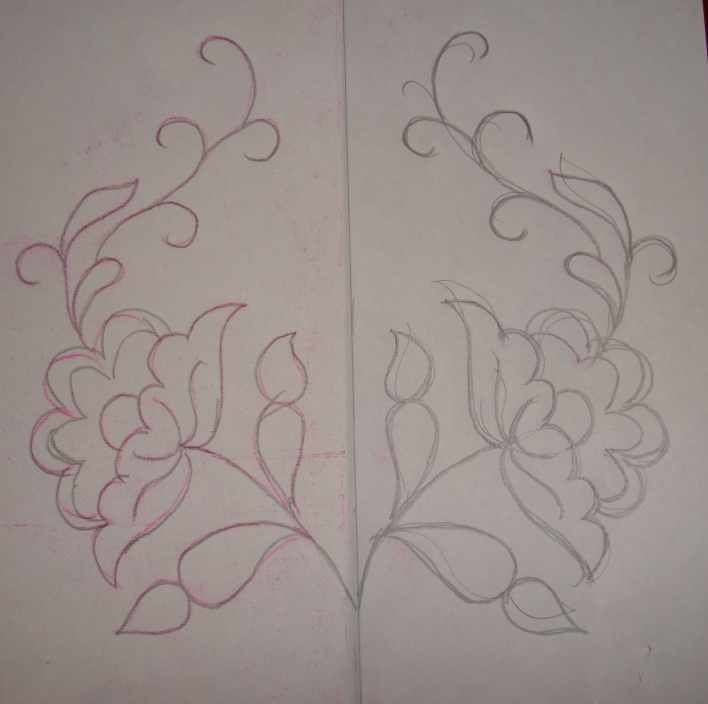 I felt the continuous crosses was too crowded, and chose to work the alternate ones for the outline. 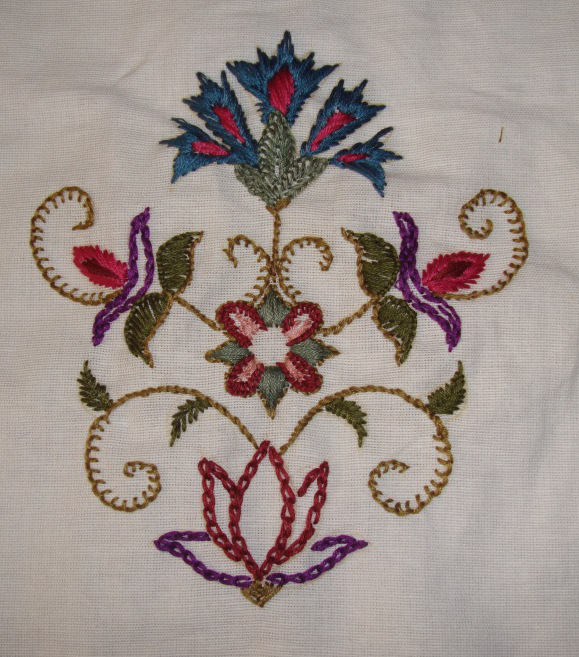 Cotton skeins were used for this work. 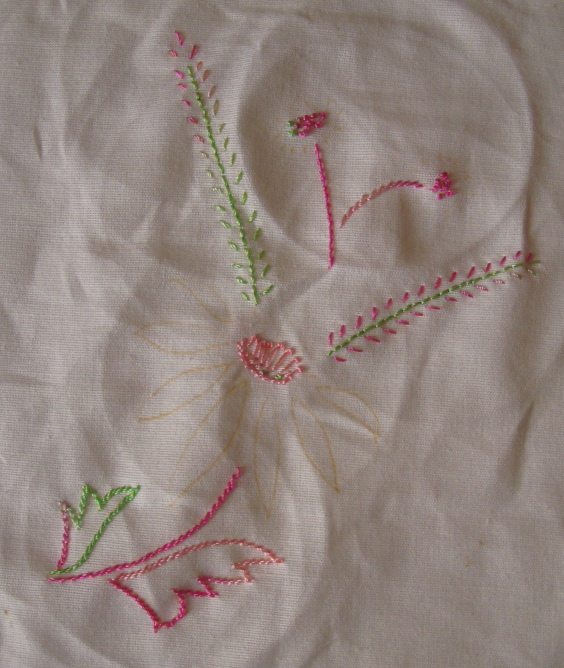 The idea of taking picture after each colour thread was worked, helps in seeing how this piece looked at different stages. 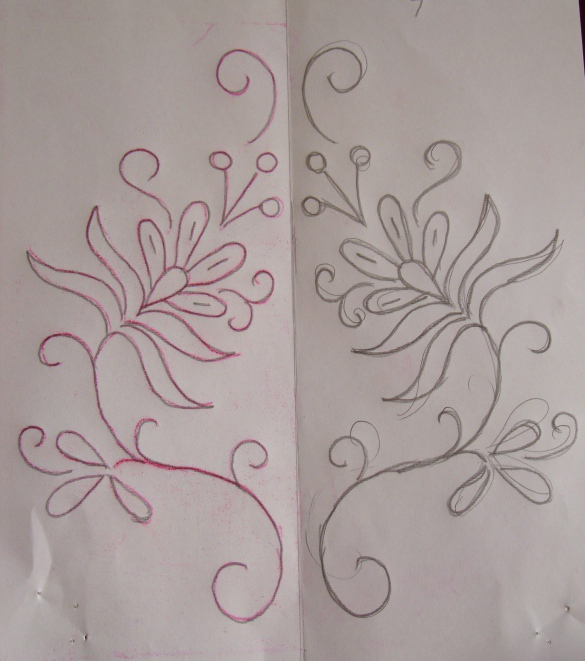 They can be used as inspiration to create another pattern based on this. 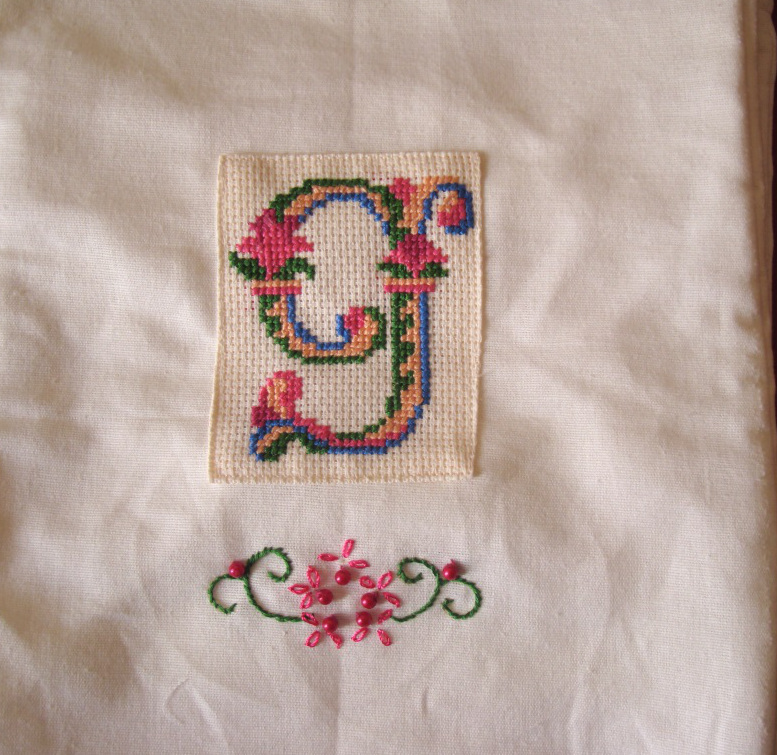 The cross stitches are completed. 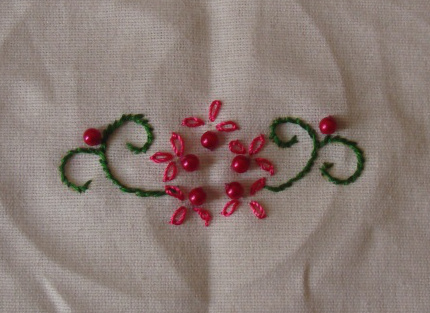 Dark pink/light purple pearl beads were used for embellishment and also the green thread on the outline and inside the triangle needed to be separated. 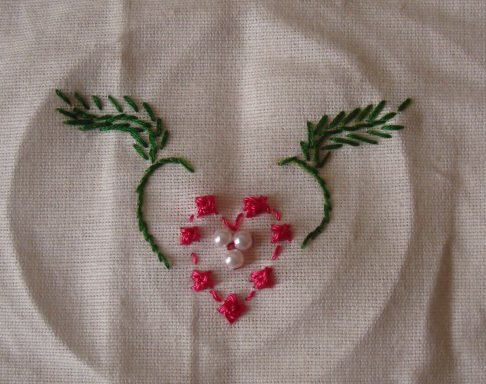 Pink stones were added in the centre. 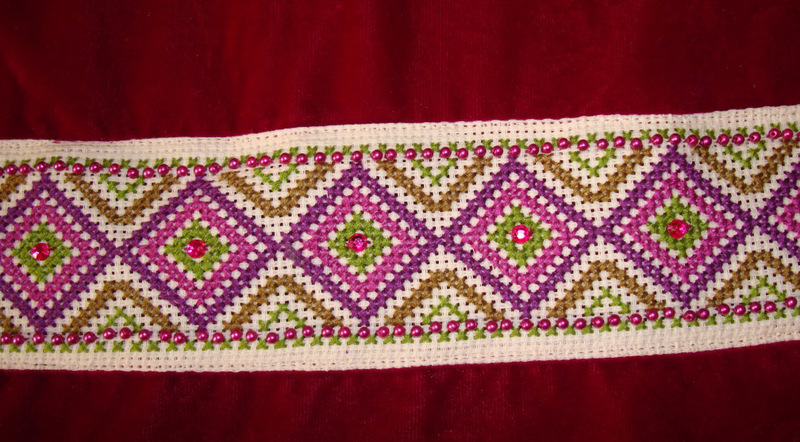 The border sewn on to the pouch, which looks like deep red, but is actually dark purple! 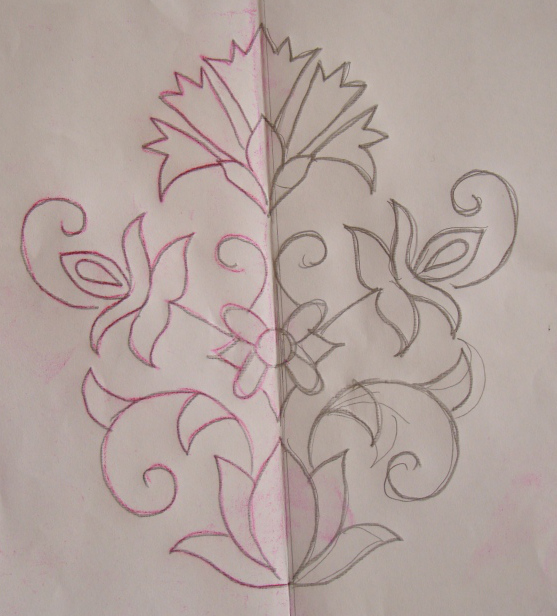 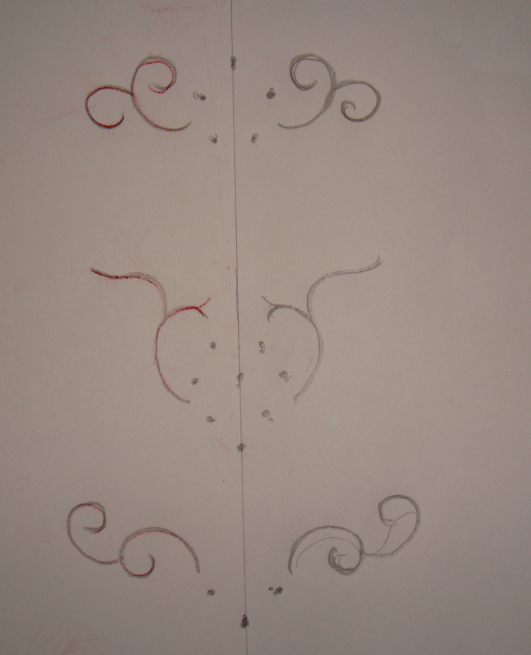 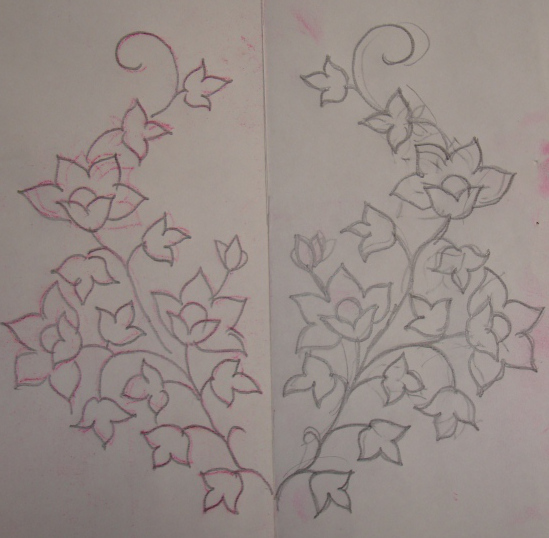 I derived satisfaction choosing the colours on this pattern and see them come to life when they were worked. 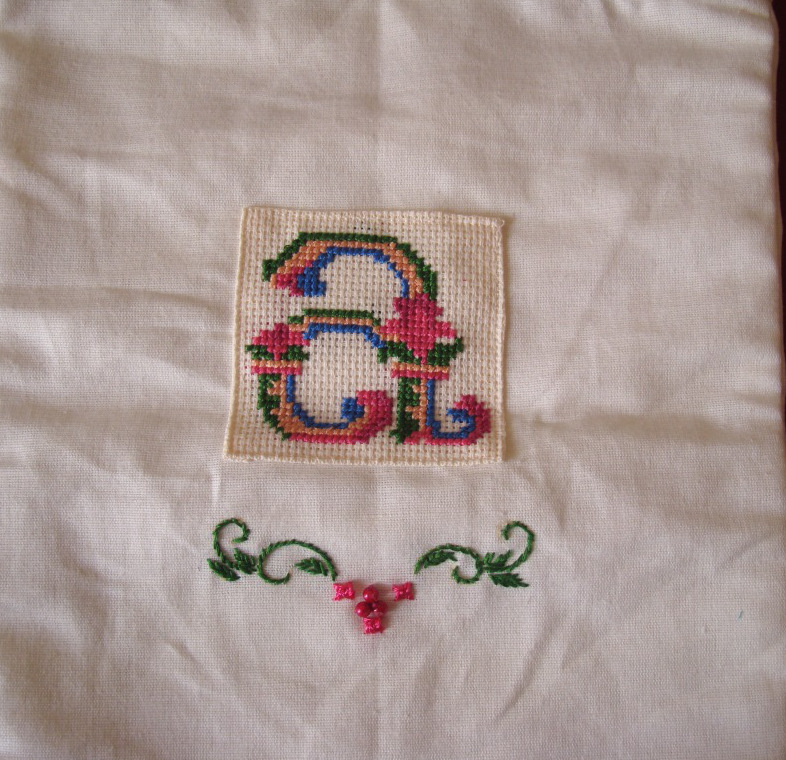 I found some cross stitch alphabets through pins on Pinterest. 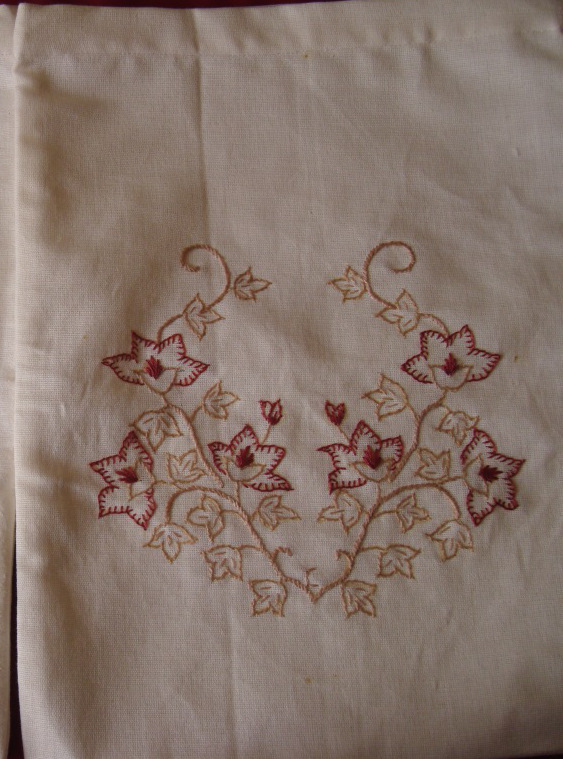 After working floral embroidery on the bags, which can be used by anyone, I wanted to personalize these three bags. 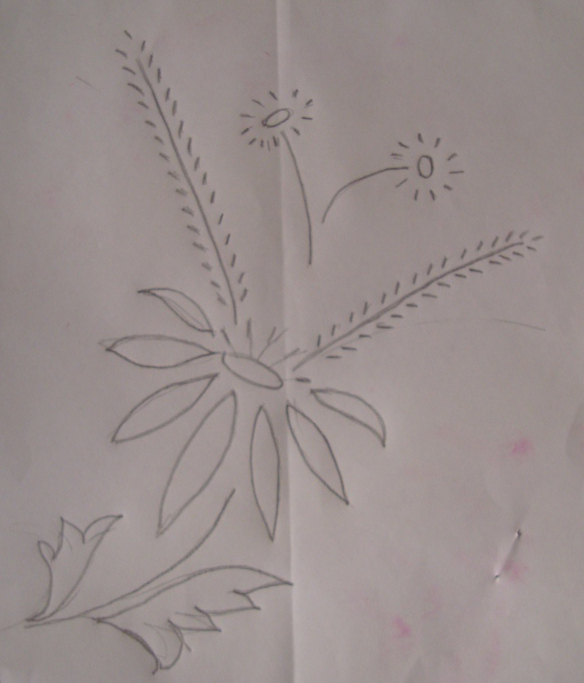 My grand nephew [ important family member], DH and myself were treated this way. 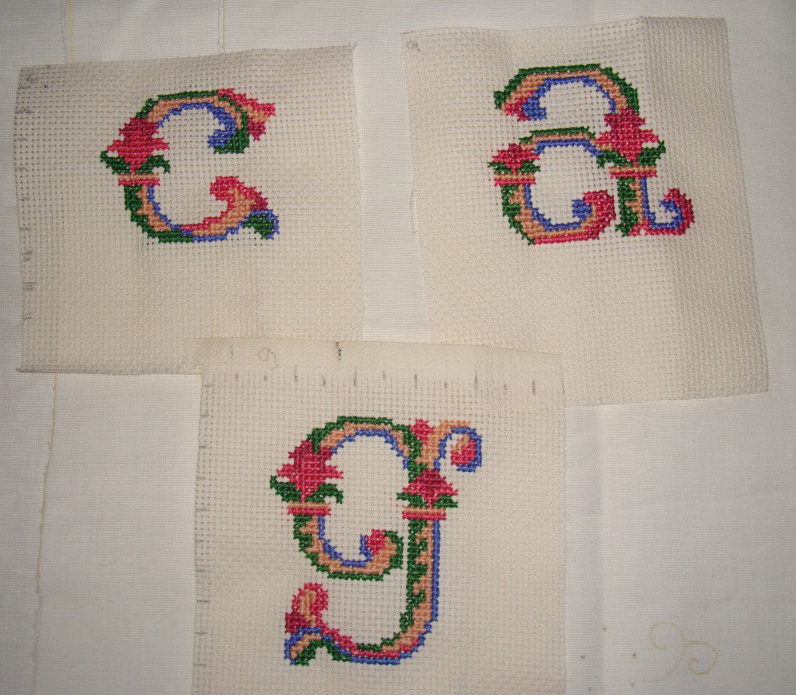 Three small embroidery patterns to go with these letters. 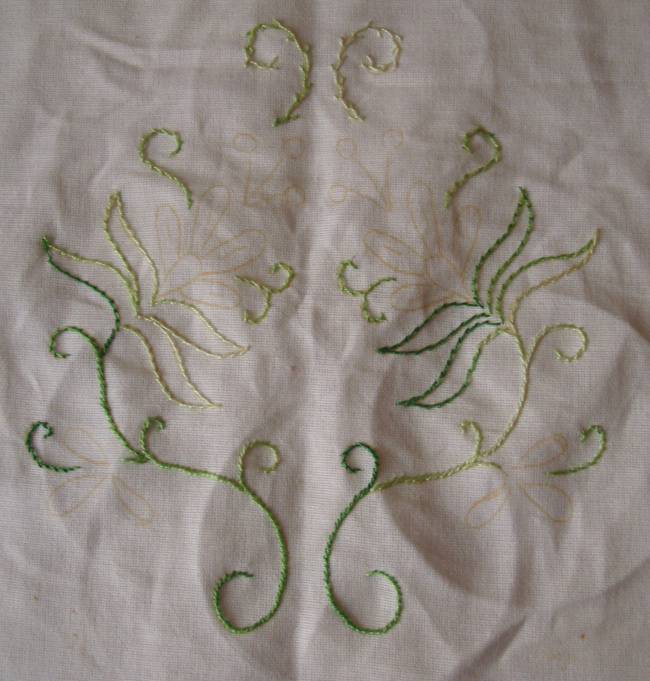 When I chose and worked the crosses on Aida cloth, it matched the linen fabric, it was another story when they were sewn on to it. 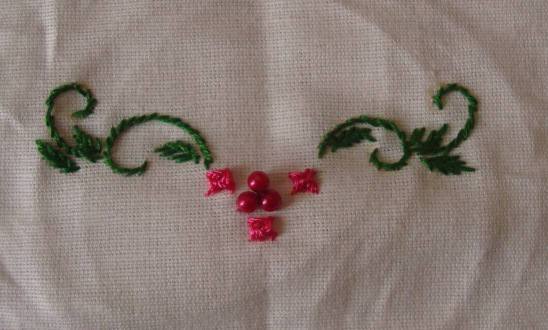 I was too busy to think of putting something around it. 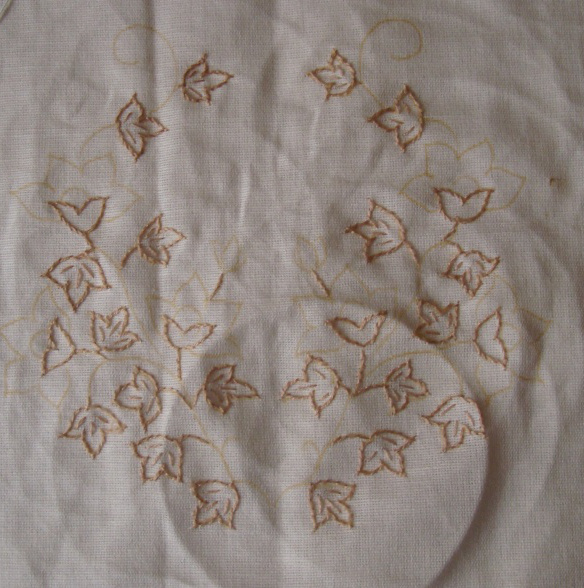 I started with variegated polyester thread. 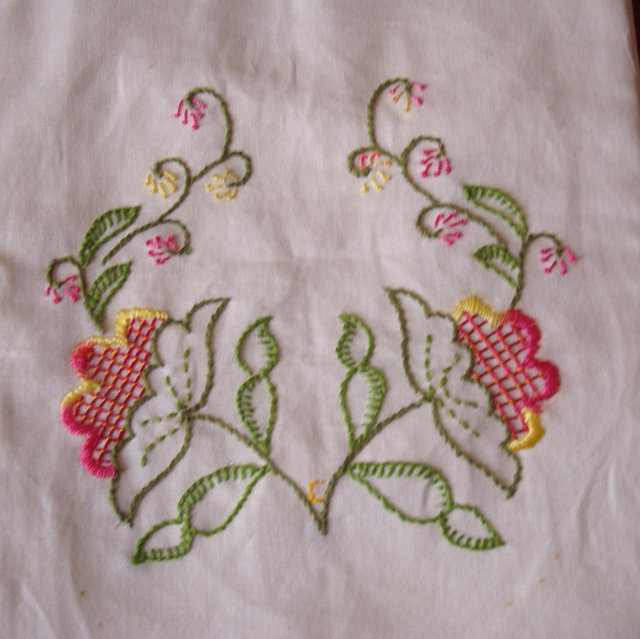 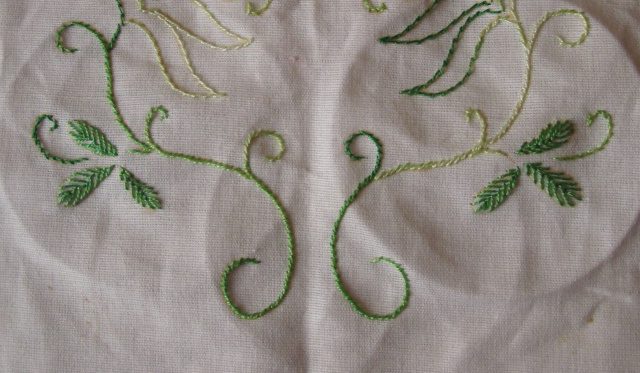 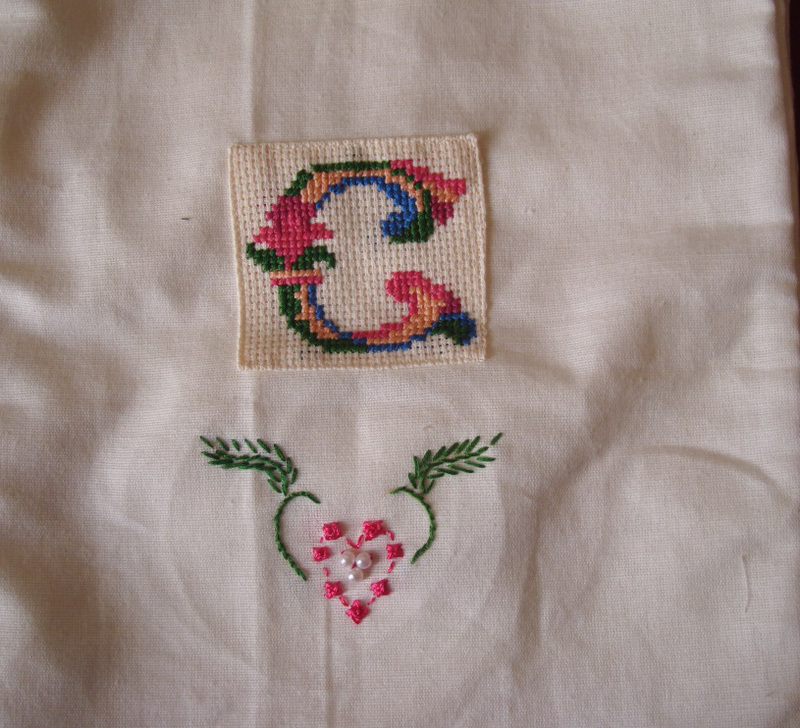 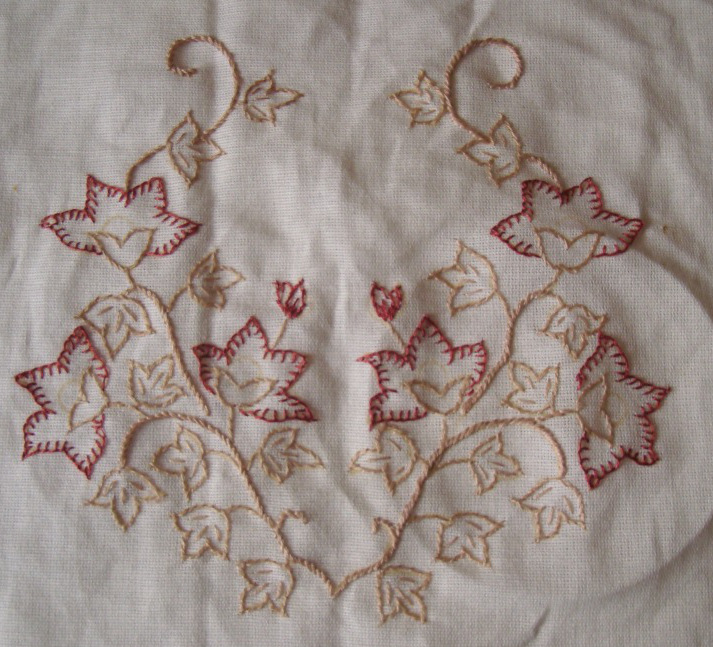 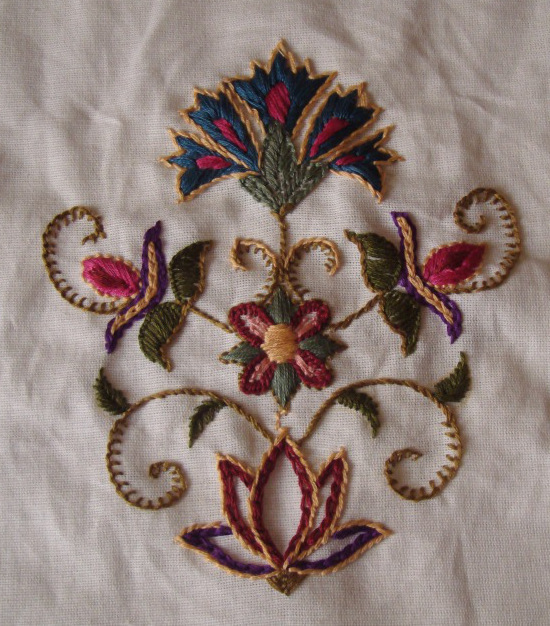 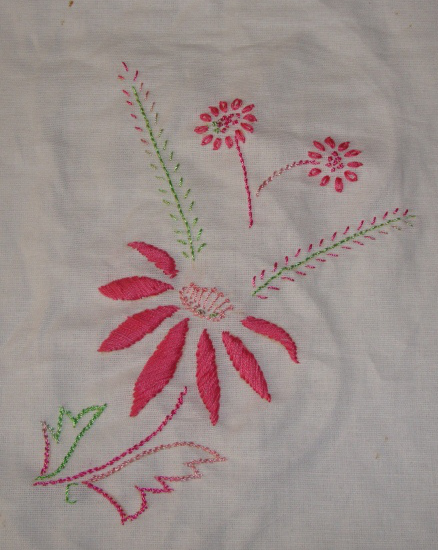 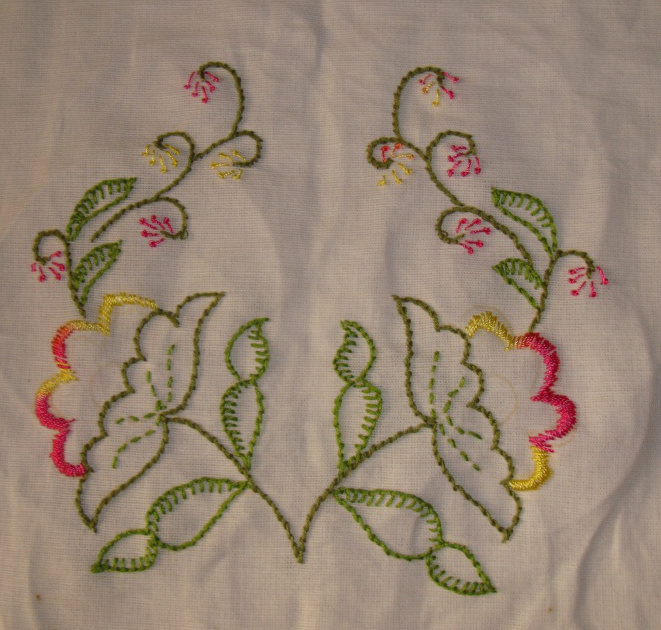 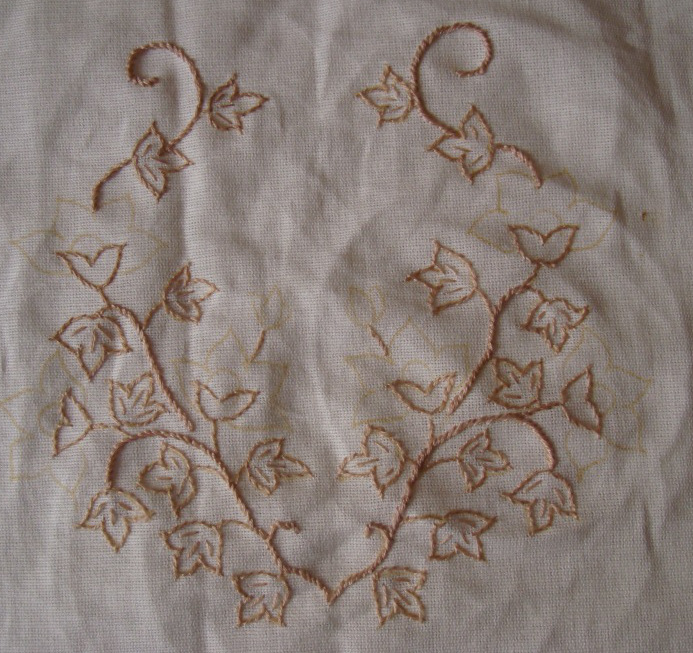 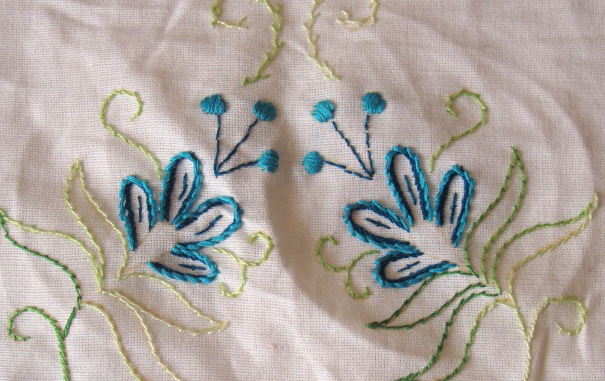 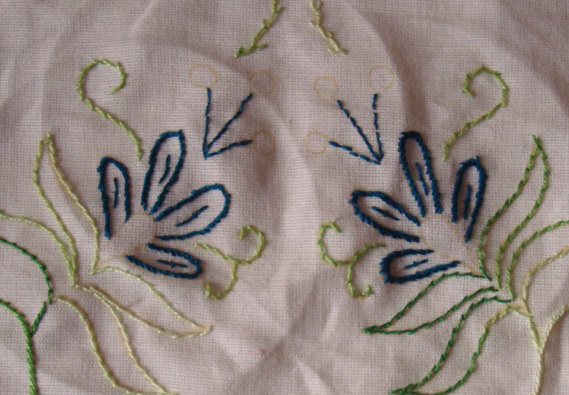 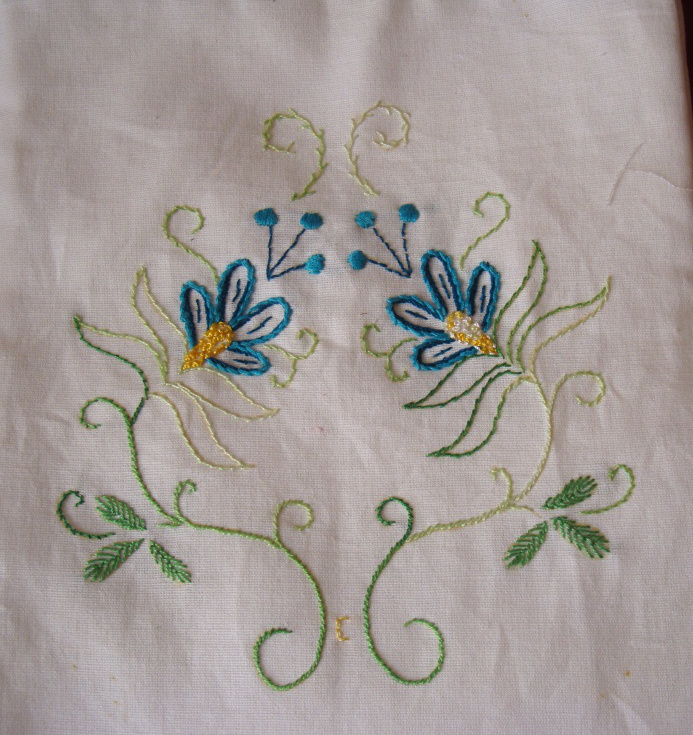 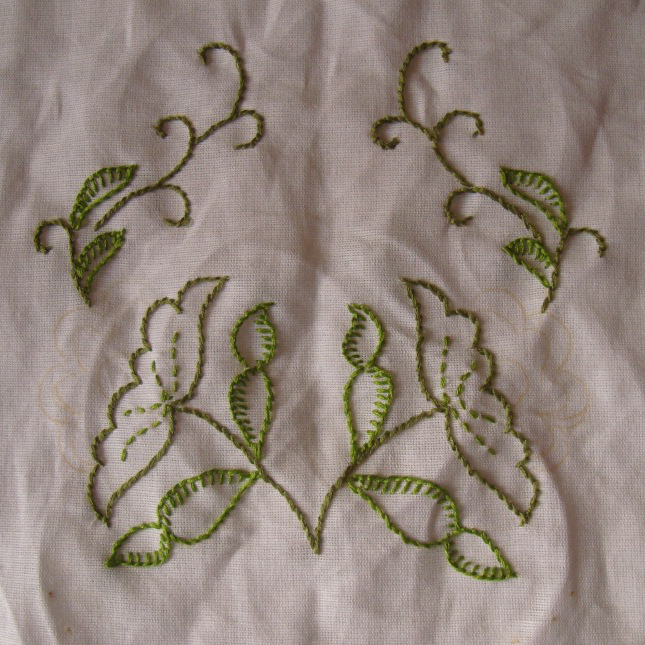 The stitches are- stem stitch, back stitch, straight stitch, pistil stitch, french knots and detached chain. 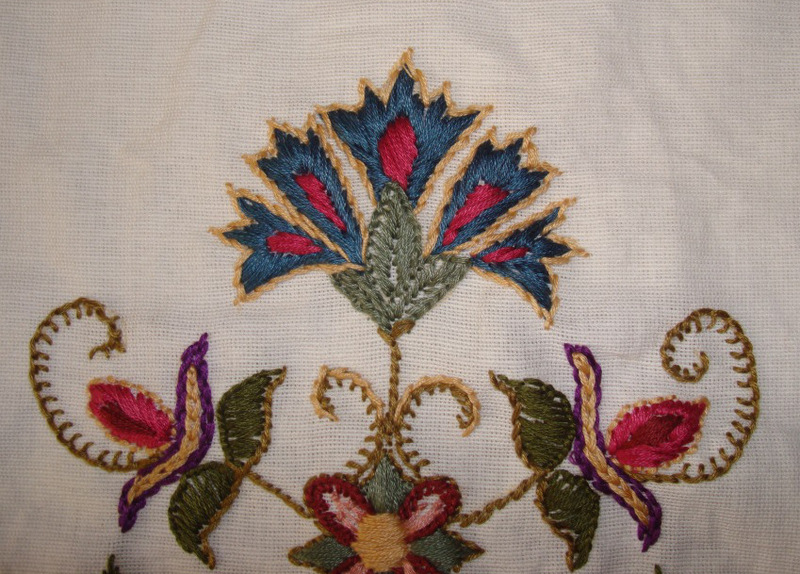 Cotton skein was used to work the satin stitches and detached chain stitches.